With Christmas approaching, here are capsule reviews of some holiday-themed films that parents, teens and, in some cases, the whole family can enjoy together. They range from the secular to the sacred and hit notes from reverence to gentle comedy. Unless otherwise noted, the Catholic News Service classification is A-II (adults and adolescents), and the Motion Picture Association of America rating is PG (parental guidance suggested). 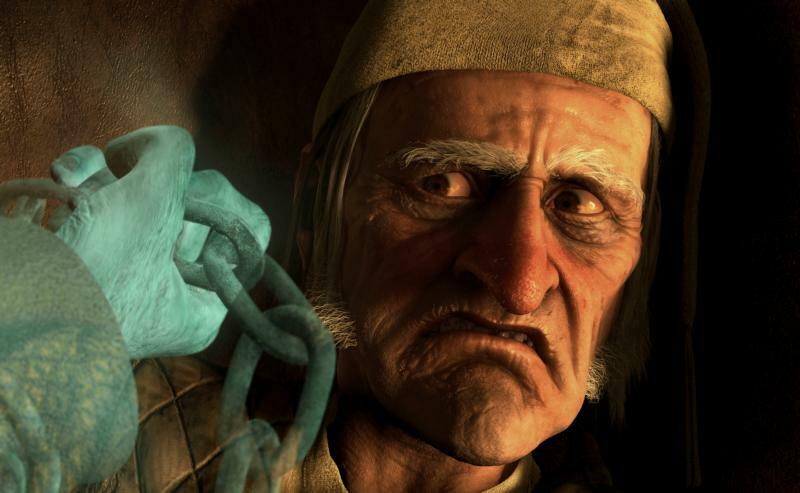 “A Christmas Carol” (2009): Lavish, well-crafted but frequently eerie animated adaptation of Charles Dickens’ classic 1843 novella in which miserly misanthrope Ebenezer Scrooge (voice of Jim Carrey) is urged to change his ways by the tortured specter of his late business partner (voice of Gary Oldman) and by the ghosts of Christmas Past, Present and Yet to Come (all voiced by Carrey). Though free of objectionable content, and unabashed about the Christian context of its conversion story, writer-director Robert Zemeckis’ largely faithful retelling features images and special effects likely to disturb the most sensitive youngsters. The Catholic News Service classification is A-I (general patronage). “A Christmas Story” (1983): Adapted from Jean Shepherd’s nostalgic piece of whimsy, “In God We Trust, All Others Pay Cash,” the movie re-creates what it was like to be a boy (Peter Billingsley) yearning for a genuine Red Ryder air rifle for Christmas in the Midwest of the 1940s. Director Bob Clark gets some good performances from Darren McGavin and Melinda Dillon as the understanding parents and the period atmosphere is nicely conveyed in what is essentially a warm celebration of a more innocent, less sophisticated America. A few vulgar syllables. “Christmas With the Kranks” (2004): Delightful yuletide comedy about a Chicago couple (Tim Allen and Jamie Lee Curtis) who boycott Christmas after their daughter leaves home to join the Peace Corps, sparking unforeseen reactions from their militantly merry neighbors (led by Dan Aykroyd). The film is based on the novella “Skipping Christmas” by John Grisham. Director Joe Roth delivers a dose of holly-jolly fun that is, by turns, extremely funny and poignantly tender, and its warmhearted message of selflessness, family and coming together as a community clearly embodies the truest spirit of the season. Some suggestive humor, comic violence and mildly crude language. “Miracle on 34th Street” (1947): Familiar seasonal favorite follows a department store Santa (Edmund Gwenn) as he strives to convince a lonely little girl (Natalie Wood) that he’s the genuine article, despite the objections of her rigidly pragmatic mother (Maureen O’Hara) and a court trial that hinges on the U.S. Post Office. Director George Seaton’s amusing romantic fantasy has its sentimental moments while spreading a reasonable amount of holiday cheer, largely due to Gwenn’s charming performance as Kris Kringle. Problems of single parenthood. Not rated by the Motion Picture Association of America. “The Nativity Story” (2006): Dramatization of the New Testament birth narratives from the annunciation to the birth of Jesus, focusing on the relationship between Mary (Keisha Castle-Hughes) and Joseph (Oscar Isaac) and their arduous trek from Nazareth to Bethlehem, with subplots tracking the journey of the three Magi and the efforts of King Herod (Ciaran Hinds) to prevent the prophecy of a Messiah from coming to pass. A composite of the Gospels of Matthew and Luke, embroidered with apocryphal traditions and the imagination of the filmmaker, the Bible story gets the prestige treatment in director Catherine Hardwicke’s artful, reverent and affecting retelling, with soulful performances from an excellent international cast — including Shohreh Aghdashloo as Elizabeth — and impressive production design. Mike Rich’s screenplay manages to flesh out Mary and Joseph while remaining faithful to Scripture, poignantly suggesting the humanity beneath the halos. Some violent images. The Catholic News Service classification is A-I (general patronage).